The Marketing Advantage blog, written by the marketing experts at Advantage Marketing Consulting Services, helps small and mid-size businesses make sense of social and traditional marketing and discover what works best for them. Need even more help? Visit our website: www.advantage-marketing.com. Is Your Business Missing out on Mobile? Why Should Your Small Business Conduct Market Research? Social media can be tricky to navigate due to the ever-changing features, networks and guidelines. Here are some of my top social media Tweets to help you make the most of your efforts. Content marketing isn’t just beneficial for big businesses. Small businesses can get results, even with smaller budgets. These top Tweets from Advantage Marketing offer resources and tips to sharpen your small business content marketing strategy and execution. For more tips on small business marketing and social media, follow me on Twitter: @LMKasprzak. What’s that extra “s” for? Well, it turns out that the “s” stands for “SSL,” which stands for Secure Sockets Layer – the technology that encrypts your connection to a website, so that hackers can’t intercept any of your data. So why should it be enabled? It’s good for search – Every minute — no, second — Google’s algorithm requires sites to essentially battle it for top search rankings. But what happens if there’s a tie? There is a tiebreaker involved, and it’s https. It’s better for users – SSL helps to prevent the “man-in-the-middle” attacks — “a form of eavesdropping where communication between two users is monitored and modified by an unauthorized party” — and keeps user information secure. SSL is required for AMP – Accelerated Mobile Pages. AMP is going to play a major role in SEO in the coming months — Google is making it a priority for 2017, which implies that AMP-ready pages will have better rankings. But in order for something to be labeled as AMP, it requires SSL. If you want your SEO to stay strong — on both desktop and mobile — and you don’t want to lose digital sales revenue, it’s easy to see why https should be enabled on your website. Nothing will better arm your content marketing department than interaction with the people who talk directly to the audience on a daily basis. Here are four ways you can build better content by encouraging collaboration with your team. One of the most efficient ways to curate popular questions on your site is to create a FAQ section. Most sales teams have various content assets being developed year after year — case studies, white papers, PowerPoint presentations, etc. All of these documents can be powerful lead magnets. Advantage Marketing can help you create your lead magnets. Contact me at me at 908.233.6265 or LKasprzak@advantage-marketing.com to find out more. By knowing the wants, needs, and even demographic information of a customer base, content marketers can better personalize their efforts. Your nonprofit or charitable organization may receive as much as 25 to 50 percent of your annual donations between October and December. These donations are helpful, but your organization needs support all year to stay in the black. Learn specific ways to leverage six Hallmark holidays and increase donations year-round. Donors are human, and they’re more likely to get excited about your cause when they feel emotionally attached to it. Prepare promotions that tap into a donor’s joy, happiness or nostalgia as you raise money. Change product packaging and your website’s appearance to reflect each holiday. Offer new blog content, web page colors and donor rewards based on the occasion. It’s true that donors may support your cause because they want to. However, a gift can prompt support, too. Offer a branded item such as a mug or magnet, or a discount to a future event or product you sell. Now’s the time to schedule your holiday campaign for the remainder of the year. Then, use your newsletter, blog and social media pages to announce your holiday promotions and special celebrations. You may also partner with local news venues via newspaper press releases, television station promos and radio spots. You can even host a live web event as you raise awareness and money. These tools help you leverage six Hallmark holidays. Consider specific activities, too, as you raise awareness and donations for your cause. Ask donors to guess if the groundhog will see its shadow. One correct guesser wins a prize. Implement déjà vu markdown pricing. Host a spring brunch that fights the winter doldrums. Host a brunch or tea for mothers. Partner with a florist. Donors may send flowers to moms, and a portion of each sale supports your charity. Host a mother/daughter look-alike contest with a fee to enter. Host a fundraising barbecue with a free ticket for dads. Sell tickets to a local baseball game. Set up a health fair where loved ones may give blood, receive a free blood pressure screening, or take an exercise class as they focus on being healthy for their families. Invite donors to share their favorite memory of their grandparents on your social media pages. Compile a cookbook of your staff members’ favorite family recipes and sell the book with proceeds supporting your charity. Ask donors to contribute in honor of their grandparents or mentors. Encourage donors to give a gift in honor of their boss or supervisor. Set up a challenge among four of your biggest business supporters. The business that raises the most money wins a prize, such as public recognition in the newsletter or a trophy. Interview your organization’s bosses and supervisors. Ask them to discuss their favorite books, personal interests and why they work at your organization. Then, post the interviews on your blog. Create customized candy bar wrappers and sell the candy bars to the public. Fill a branded mug with chocolates or candy in branded packaging. Supporters may buy a cup or receive one free with a donation. Host a dessert bar and encourage donors to bring their sweetie to the event. Improve donations year-round by leveraging Hallmark holidays. These ideas can jumpstart your calendar and help you maximize donations this year. Jeremy Silverstein is Vice President of Operations and Vehicle Dispatching at Goodwill Car Donations. During the five years he’s been with the organization, he has become quite an expert in the industry and has handled tens of thousands of donated vehicles. How do you unify efforts when you have different team members, initiatives, and strategies for your blog, email and social media marketing? You need to come up with a content marketing strategy that accounts for each channel. Following these five steps will help you create a cohesive marketing plan. Clearly lay out what you want your team to achieve and when you want them to achieve it. Establish the guidelines and processes that will enable your team to produce consistent content. The days of individual start-and- stop campaigns are long gone. An integrated, holistic approach requires that your campaigns work in harmony. When you’ve integrated the plans for all your marketing channels, you also need to make sure your team is just as unified. Make sure you and your team meet up frequently for progress updates. Doing so is vital if you want to avoid the silo effect — keeping your team stratified can only lead to limited communication and creativity. The final step: Have your marketing team look at specific metrics and KPIs, such as unique visitors, newsletter subscribers or leads. These steps can help you create a cohesive plan and give your team a better understanding of how they can work together to contribute to the overall content marketing strategy. Every B2B company needs a solid content strategy, including a social media strategy. This is the age of what social media-marketing expert Mark Schaefer refers to as content shock — where there is so much content that it overwhelms readers. How can you stand out in this veritable sea of content that has flooded the internet? Is it even possible? The content marketing gurus at Hubspot and BuzzSumo have joined forces to conduct research into what works and what doesn’t in B2B content. For years in B2B blogging, it was thought that long-form posts performed better — and while that might be true in some aspects, social media isn’t one of them. Long form posts did not receive any more shares than short-form. B2B content dominates the LinkedIn playing field — with an average of 25.7 shares, compared to 9.8 shares for B2C content. With all the tools that LinkedIn provides that are geared towards business and thought leadership, it really does make a perfect home for your B2B company’s content. Facebook currently has 1.71 billion active users every month. With such a huge audience potential, how can you pass up this social network? Focus on posts that will help your reader succeed. Whether it’s a numbered list or a how-to article, make it engaging and geared toward reaching one of a reader’s goals such as gaining more customers, increasing office efficiency, or succeeding in a leadership role. Don’t go it alone! Contact us for help with your content marketing. Brand awareness is essential for the success of small businesses and startups. Done right, successful content marketing will not only generate more revenue for your small business or startup, but it will also help your brand build credibility, authority and thought leadership in your industry, which benefits your entire company all around, everything from building sales to hiring top talent. An effective content marketing strategy starts with knowing your customers inside and out. So before you create any content, take the time to really listen and understand who your target audience is and what content they want and need. Your brand is the promise you make to your customers. It’s what ultimately differentiates your small business or startup from your competitors. 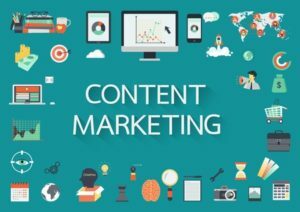 Those who have a documented content marketing strategy are significantly more likely to meet their content marketing goals and achieve success. To be effective, your content needs to be relevant and appropriate to the channel or platform where it will be published and consumed by your target audience. You can’t manage what you don’t measure. If you don’t know whether your content marketing efforts are working or not, how will you know if your marketing objectives are being met? Don’t go it alone! Contact us if you need help building your content marketing strategy. Is your new year’s resolution to improve your networking skills? These 5 videos will help you establish lasting connections and get the most out of networking events. The customer is always right, and your website is no exception, according to the WSJ. “You should design around the user experience as opposed to what you want the customer experience to be,” says Luke Wroblewski, a product director at Google. Looking at how people actually use your site is crucial to its design: What features are people always hunting for? Are any sections of your website particularly frustrating? You may think users will prefer complex features or assume they are browsing on big monitors, but that’s not always true. Ask someone try out your website on a few different devices, and observe where they have difficulties. Try to alleviate those difficulties when you’re making changes to your site. Experts advise keeping things simple and giving customers what they want the moment they land on your page. A restaurant, for example, should make its contact information and a dinner reservation form some of the first things users see when they enter the website. If your landing page contains all the essentials without being cluttered, mobile users will be much more likely to use your website. With the growing flood of mobile users, every business needs a good mobile site. Keeping important information up front and taking into account user experience can make your site a pleasure to use and drive sales. Many businesses are missing out on mobile — make sure yours isn’t too. Contact us if you need help with your website. The Advantage Marketing team is expert at creating mobile-friendly sites with the right content to drive lead generation. Source: “Missing Out on Mobile,” by Dennis Nishi, Managing Technology; Wall Street Journal, 11-21-16.